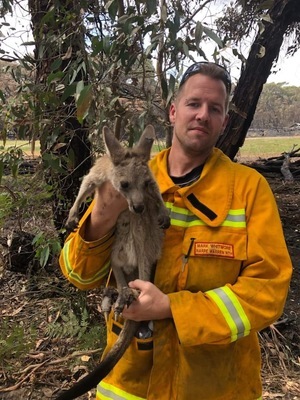 CFA firefighters took the time to help save a baby wallaby while fighting a bushfire – but hopes of its survival were dashed when it was later put down. 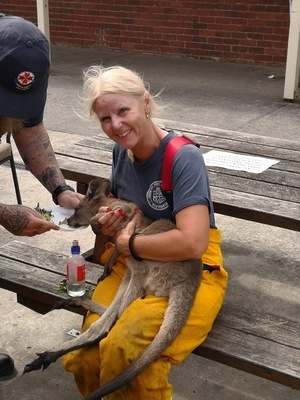 Firefighters Hellie Aitken from Hampton Park and Mark Whitmore from Narre Warren North were battling raging bushfires in Grantville when they helped rescue the injured wallaby on Tuesday 5 February. Once safely caught by Mark, Helen, together with a member of Ambulance Victoria, gave him some much-needed water and food to the wallaby, and cleaned its injured feet. Hellie said firefighters spotted the wallaby on the side of the road, where his mother was nowhere to be seen. 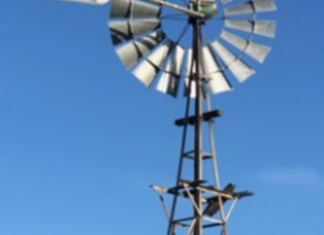 “He was very content. He knew that we wanted to help him. “His feet were quite badly burnt; his tail was a bit burnt. Hellie said the wallaby was taken into care by Werribee Zoo but was sadly put down after reportedly suffering from bad infections. “We try and hope that it gets a nice ending but it’s not always the case,” she said. The 4000 hectare inferno had engulfed much of the bushland near the community, threatening homes and habitats.